A new report states that U.S. adults are at a higher risk for heart attack and stroke due to an increase in heart age. According to the study conducted by the Centers for Disease Control and Prevention (CDC), most Americans are younger than their heart age. Despite our attempts to feel “young at heart,” the surprising research shows that on average, the heart of a U.S. adult male is 7.8 years older than his actual (chronological) age, and the heart of a U.S. adult female is 5.4 years older. When calculating an individual’s “heart age,” many factors are taken into account, including the risk of high blood pressure, diabetes status, systolic blood pressure, smoking status, and body mass index (BMI). The concept of heart age was developed as a way to help doctors and healthcare professionals explain a person’s individual risk of cardiovascular conditions to help them understand the importance of heart health. 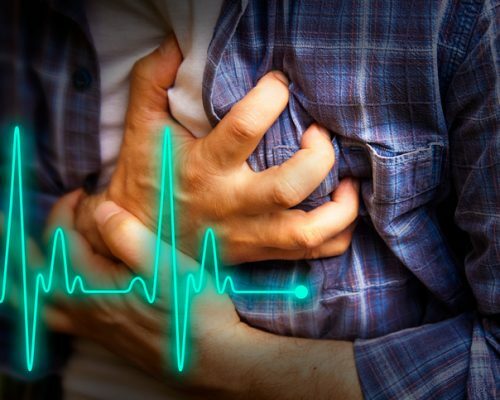 According to the American Heart Association, close to 800,000 Americans die annually due to heart-related illnesses, which can cost up to $320 billion each year. Using data from the CDC’s Behavioral Risk Factor Surveillance System (where participants give details about their age, BMI, diabetes status, medications, blood pressure, and smoking status), the researchers were able to estimate the heart age of U.S. adults. They also used the information to find out how it differs according to the participant’s gender, education, financial situation, location, and racial/ethnic background. In total, 342,424 women and 236,101 men between the ages of 30 and 74 participated in the research calculations. None had experienced a heart attack or stroke or suffered from heart disease. Although the average age of women in the study was 47.9, the average age of their hearts was 53.3 years. In men, the average chronological age was 47.8, but the average heart age was 55.6. This means that 38.5 percent of the women and 48.8 percent of men (an approximate total of 69.1 million Americans) have a heart that is at least five years older than their chronological age. According to the study, the older a person was, the larger the gap between their heart age and their chronological age. As their income and education increased, the gap decreased. The gap between heart age and chronological age was smallest in Utah (5.8 excess years for men and 2.8 for women) and largest in Mississippi (10.1 additional years for men and 9.1 for women). After the impact of income, education, and age was calculated, researchers from the CDC determined that black men have an average heart age that is four years higher than that of a Latino and three years higher than white men. Black women have an average heart age that is seven years higher than Latino women and five years higher than white women. The results of the study were published in the CDC’s Morbidity and Mortality Weekly Report. Although your chronological age can’t be reduced, your heart age can be. The first step to helping your heart feel more youthful is to understand the factors that increase your risk of a heart attack and stroke. Geographical location (people from Mississippi, West Virginia, Louisiana, Kentucky, and Alabama have the highest percentage of adults with increased heart ages). Although there are some factors, such as family history and natural aging, that you cannot change or prevent, there are daily lifestyle choices that can be made to address the above risk factors. Calculating your heart age is a good way to find out whether you need to make any drastic life changes. Heart age is calculated using validated research from the Framingham study. The calculator can provide you with a general idea about your heart health and whether or not your current lifestyle is having a negative effect on your heart. It’s not a medical diagnosis, but it can help suggest changes to be made for improved heart care and reduced risks. If you take the test and are worried about your heart health, there are many ways to reduce your heart age and improve your overall health. High blood pressure and high cholesterol can both lead to heart damage. Regular testing can help you understand your numbers and when to work on lowering them. Diabetes is also a contributing factor in heart health, so ask your doctor to help plan treatments that can help you manage your diabetes and reduce your heart age. Cigarettes and tobacco contain dangerous chemicals that can damage your heart and blood vessels and even lead to death. The more you smoke, the greater your risk, so the best option is to quit smoking entirely. Your risk of heart disease will decrease dramatically and you will experience immediate benefits. Consuming a diet high in whole grains, fruit and vegetables, and low-fat sources of protein can reduce your risk of heart disease. Also be sure to avoid saturated and trans fats whenever possible. Exercising for 30 minutes each day can help control and maintain a healthy weight and reduce your chances of developing other heart conditions. Exercise doesn’t need to be strenuous, even moderate activities such as walking the dog, gardening, taking the stairs, and cleaning the house can count towards your daily goal and benefit your heart health. Excess body weight can lead to serious conditions such as diabetes, high cholesterol, and high blood pressure, all of which contribute to heart disease risk. Maintaining a healthy body mass index (BMI) can increase your risk and help keep your heart healthy. A BMI higher than 25 is considered overweight and should be reduced by five to 10 percent to lower the risk of heart disease. Sleep deprivation can seriously affect your health and increase your risk of high blood pressure, diabetes, depression, heart attack, and obesity. Make sleep a high priority and set a schedule to help your body wake up feeling refreshed. Try to get seven to nine hours of sleep each night and be sure to speak with your doctor about any sleep issues such as insomnia or sleep apnea. Although most Americans have a higher heart age than chronological age, this is something that can easily be fixed through changes in lifestyle and increased awareness of health risks. There are several contributing factors that we cannot control, but improving our lifestyle and overall health can help us achieve a lower heart age and prevent future risks of heart disease. Speak with your doctor about the many ways you can improve your heart health.